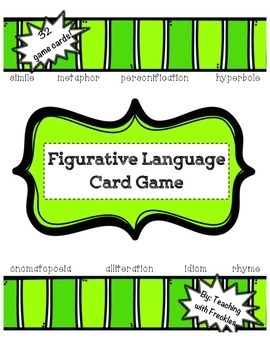 Help your students master the different types of figurative language with this resource! 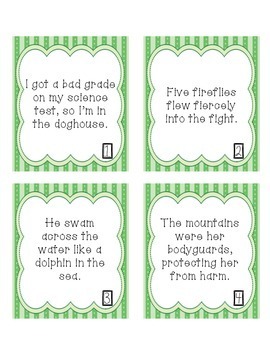 Comes with 32 game cards that can be used to play memory, go fish, or as a quick assessment. 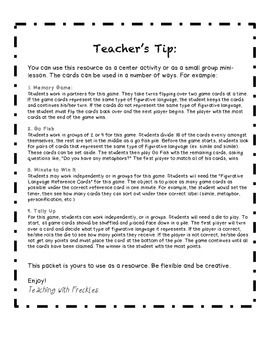 Great as a center work game or as a small group mini-lesson review. Includes key! 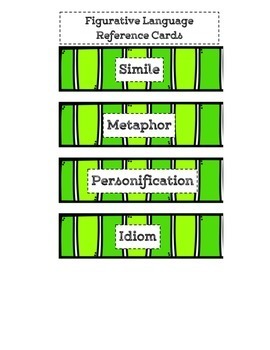 Reviews: similes, metaphors, hyperboles, personification, onomatopoeia, alliteration, rhyme, and idioms!